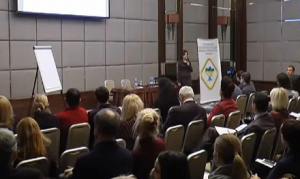 Conference with representatives of the Ukrainian Association of private dentists took place in Kharkiv. More than 100 experts discussed the European experience and prospects of legislation for dentists and patients. Participants of the conference came from Germany, Romania, Slovenia and the Czech Republic. They expressed a desire to implement their experience in health care self-management into the Ukrainian model. Medical self-government assumes a public register of all doctors. The patient will have access to information on standards and treatment protocols. It is targeted to minimize abuse by medical staff. In addition, it will deal more effectively with the problem of medical mistakes. Unfortunately, at present it is not possible. The government must adopt a corresponding law. The creation of the medical self-government depends on the parliamentary committee. The bill has already been prepared and can be adopted in the first quarter of 2016.